Del Prato has a rustic transitional style making it a great choice for many decors. Sweeping curves add interest without complication. Coordinate Del Prato in the misted bronze finish with earth tone walls for an added level of sophistication. 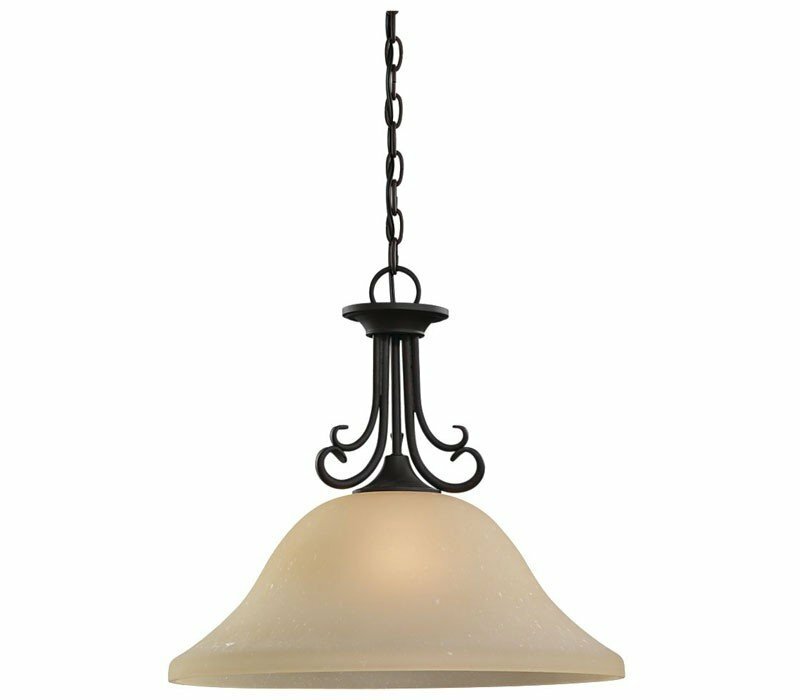 The Sea Gull Lighting 65121-820 Del Prato collection Pendant Lighting in Chestnut Bronze uses Incandescent light output and brings Traditional style. This item is 16.5"H. The wattage is 100. The Sea Gull Lighting 65121-820 requires 1 bulb (not included). Additional Information: Shade-Seeded acid etch with cafe tint Glass.